Welcome to The Ridge at Hamilton Crossing, Maryville’s brand new luxury apartment community located at the base of the Great Smoky Mountains. 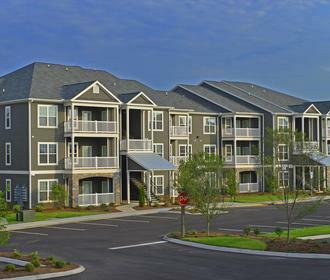 Our beautiful carriage-style community offers one, two, and three bedroom floor plans with contemporary home features and neighborhood conveniences you deserve. Inside our luxury apartments, you will find beautiful details around every corner. Each kitchen comes fully equipped with granite countertops, clean steel appliances and custom cabinetry to provide our residents with the ultimate experience in luxury apartment living. Unwind after a long day inside a large soaking tub or enjoy the scenery in your apartment’s sunroom available in select homes. Outside the apartment, you can stay shape in the twenty-four-hour fitness center or relax at the wade-in saltwater pool. Situated just steps away from endless shopping and dining and with easy access to US-129 and I-40, The Ridge at Hamilton Crossing offers the conveniences in and around our community. 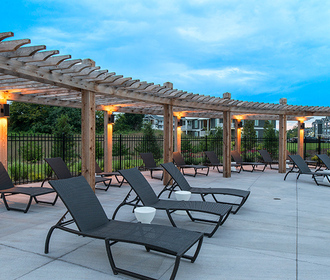 Like the soaring pines of the Great Smoky Mountains, The Ridge at Hamilton Crossing stands at the top of the finest apartments in Maryville, TN. 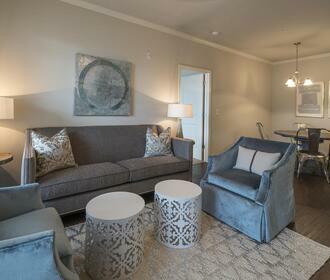 Visit the leasing office today!